was 6.45pm and we were tired and hot. Struggling along the wharf with our bags to the empty bus station, we were told it was a public holiday and there were no buses! Where was our host, who we had so carefully emailed of our impending arrival? 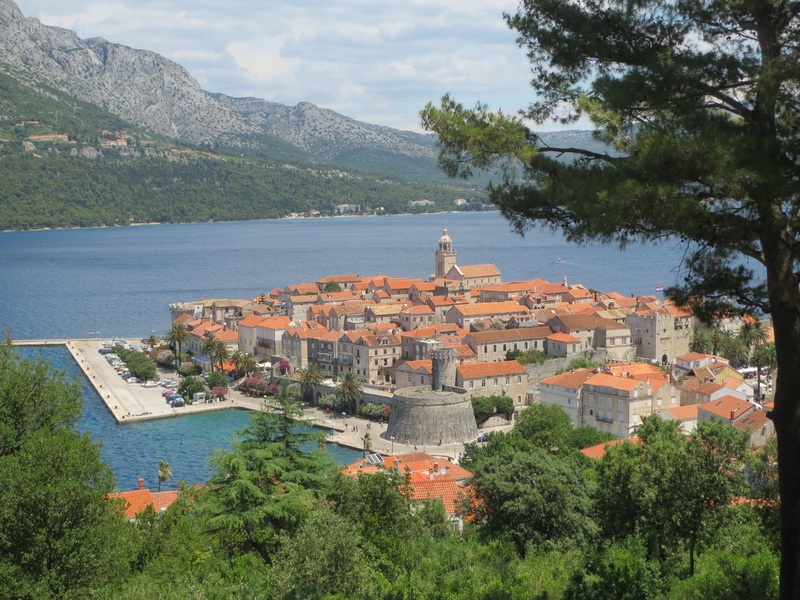 Korcula, an island about 40 kilometres long, is almost joined to the mainland coast of Dalmatia, Croatia but travelling from Dubrovnik by ferry meant joining a long queue of backpackers at the Gruz or port. The Dalmatian islands linking Dubrovnik with Split are obviously on a trendy backpacker route, with Korcula just a stepping stone between them. Korcula town is quite small, on a hilly headland and was swarming with backpackers. We were supposed to stay in Brna about 25 kilometres from Korcula town. The information on the apartment website indicated a bus connected Korcula town with Smokvica and we could arrange a lift either from the ferry terminal or at the bus stop in Smokvica. But with no lift available, we opted for a taxi. The driver looked at us sympathetically when we asked how much it would be to Brna. 370 kuna or $75, quite a lot for Croatia. He asked for the phone number of the apartment and rang. It was clear from the tone of the conversation that there were some problems. ‘Are you New Zealanders?’ He asked. Well, no, but close. What had we let ourselves into? 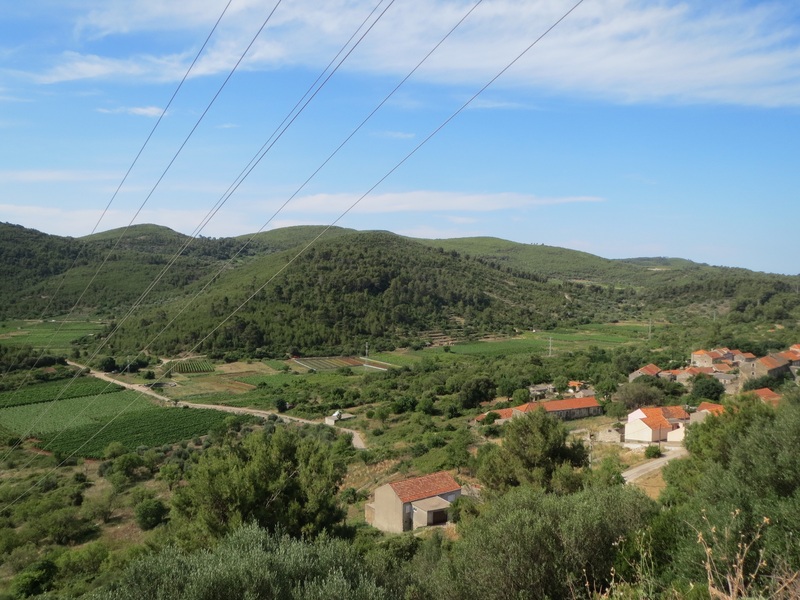 We climbed up out of Korcula town, looking town on the ancient walls, originally built by Romans, and hurtled along through coastal scrub, with pine and the famous Korcula black oak along the island ridge. Turning down towards the coast into Smokvica, we could see the valley below, covered in grape vines. The town had turned into villages, as we arrived finally in Brna. The welcome was offhand to say the least, but our apartment was clean, self contained and the balcony had a view over the Adriatic Sea inlet. However, we were stuck without transport. Apparently the apartment has no website, so we are still not sure who we emailed to collect us. 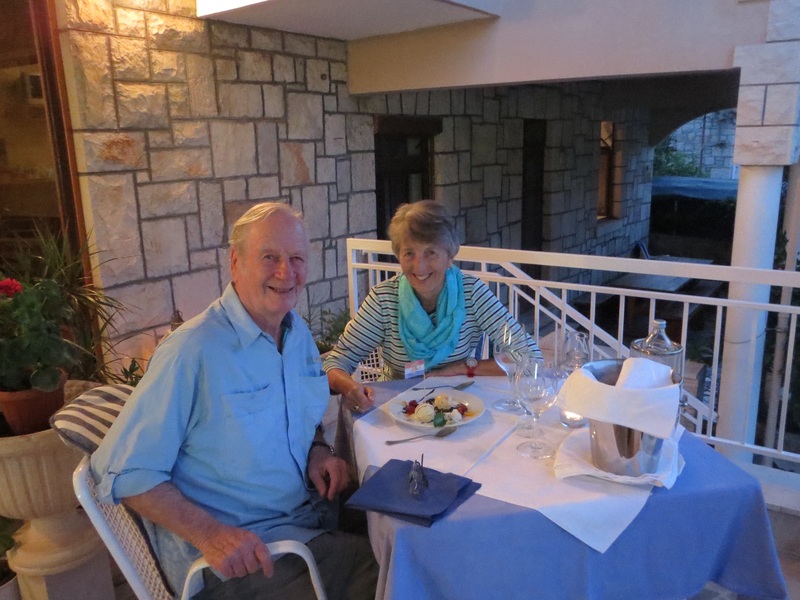 The following day we got a lift to Smokvica, took the bus to Korcula town and hired a car. 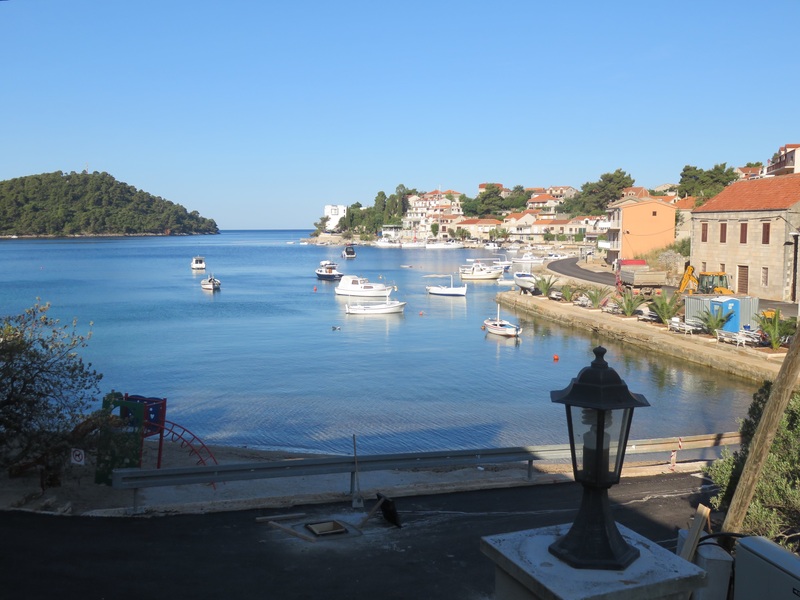 Brna is renowned for its deep harbour and had a number of active fishing vessels moored at the small wharf. One end is roped off, as part of the Hotel Feral complex, and a bronze mermaid sits at the water’s edge. We were told the hotel was fully booked but we hardly saw a soul in the water on our early morning swims. The pebbly beach dropped off dramatically and hundreds of small fish swarmed around, easily visible with goggles. The water was crystal clear, cool and salty – a soothing balm after so much inland travel. There is one two laned road from Korcula town to the other end of the island at Vela Luka. 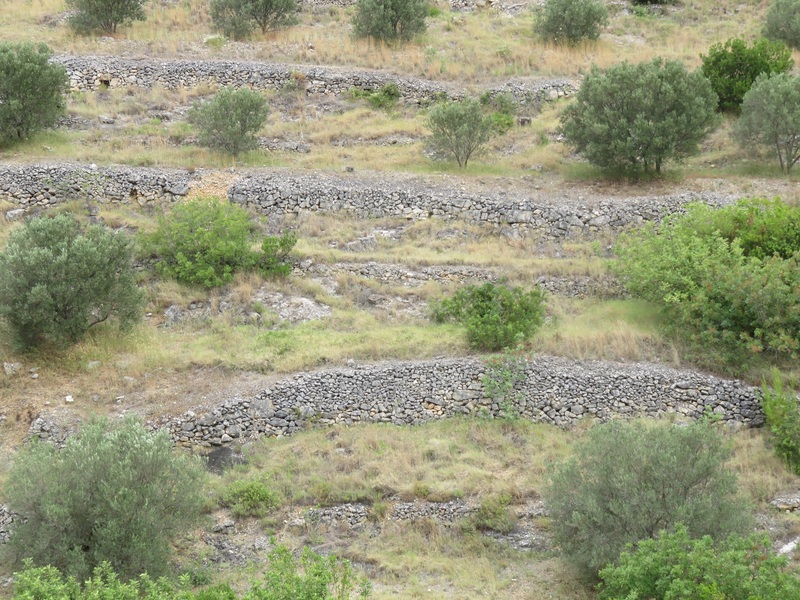 The remaining roads into the small villages are really old donkey tracks and twist and turn in between olive groves and scrub, the groves and vineyards separated by stone walls and the occasional stone hut. On the coast, the roads around the bayside villages are really footpaths and are used by both cars and pedestrians. Driving was a small challenge but we set off to explore the crystal waters and spectacular views. Blato in the centre of the island is the municipal centre of Korcula and is renowned for its sword dancing. The friendly young woman at the tourist office told us we were too early in the season to see the dancing but we should go the Etno Zbirka Barilo, an ethnographic museum. 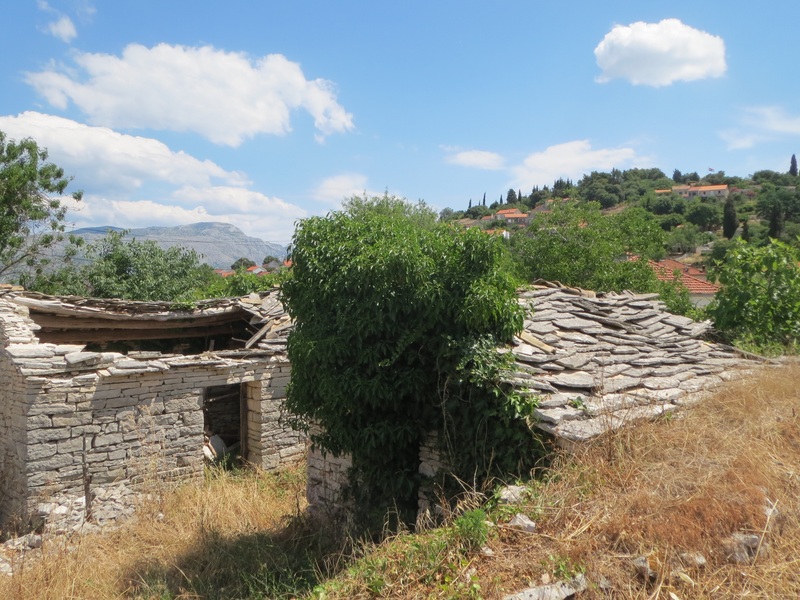 We walked along the lanes to find a wonderful stone house, with olive, pear, apple and mulberry trees in front. Vesila, a woman in her 60’s and the last Barilo, met us at the door. She graciously took us through the ground floor of her family home, showing us how life was on Korcula in the 19th and early 20th century; the kitchen with the double chimney with only one outlet, to avoid paying extra tax, the grinding stone for milling corn, butter churner and copper stove; the baskets for carrying stones via donkeys, the vats for processing olives for oil and the nets for catching fish. Life was certainly difficult and almost the whole village migrated to the New World in 1925, when a disease destroyed the vines. Finally after a tour of her herb and fruit garden, we adjourned to the office where we could try and buy fruit raki – at least 40% proof. We bought some plum and lavender conserve, which we continued to spread on our breakfast bread, all the way to Ljubljana. 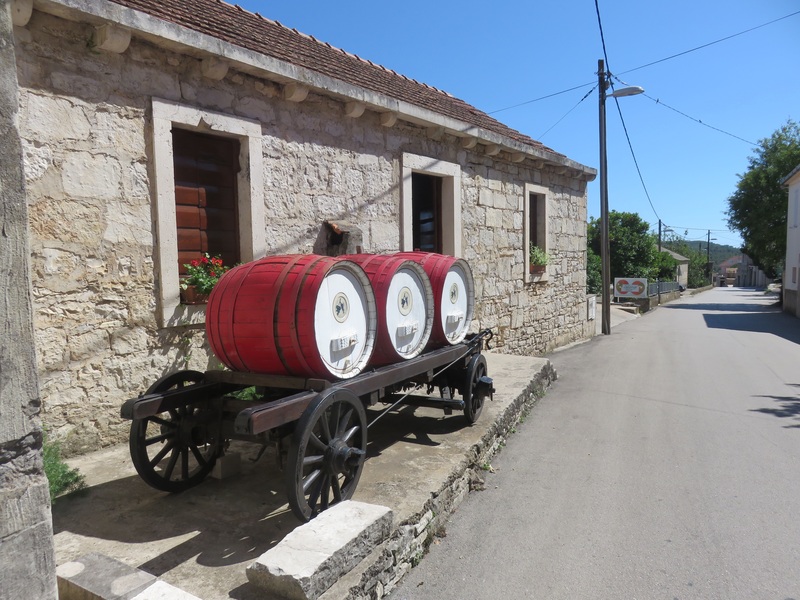 Fortunately for us, Korcula grows white wine grapes, so on our way home, we stopped in Smokvica at the Vineri Tureta to sample some Posip and Grk wine. Frano, the vineron had just won the young wine maker of the year in Zagreb, his trophy proudly on display. Later that evening we ate local fish and ice cream, washed down with Tureta Posip. 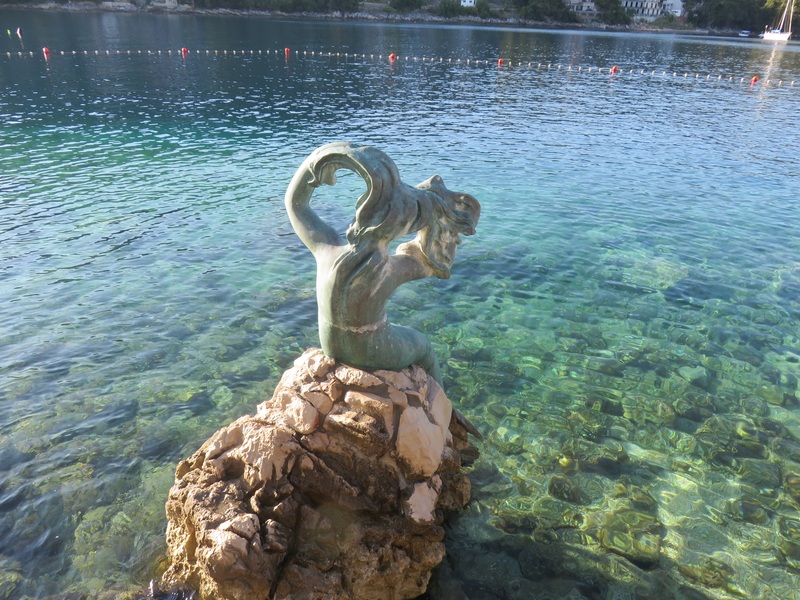 Korcula had soothed our bodies and souls and the deep blue water of the Adriatic Sea is burnt into our memory.